Keane, Nancy. 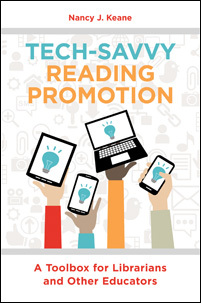 Tech-Savvy Reading Promotion: A Toolbox for Librarians and Other Educators. Libraries Unlimited, 2019. ABC-CLIO, publisher.abc-clio.com/9781440868511.